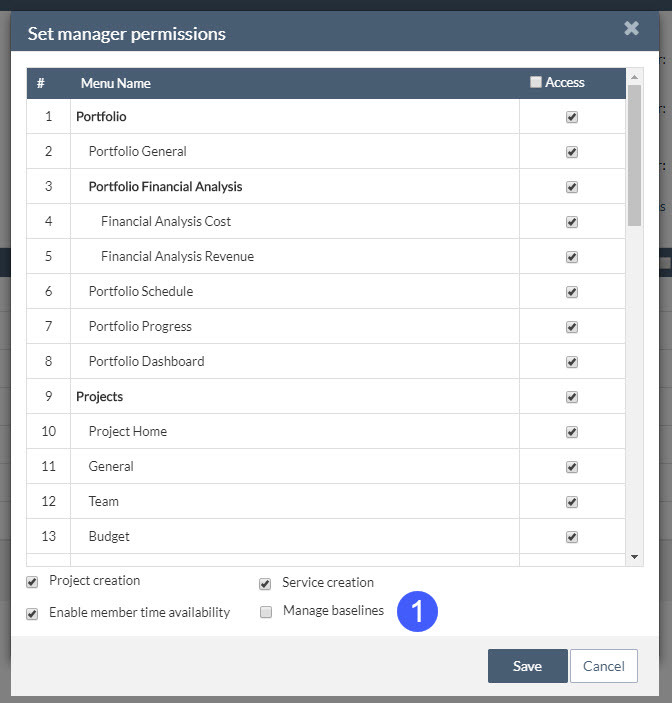 Users having Full Access or Project Manager license-based roles can create, set as active, and delete baselines. By default, roles based on those licenses will have the permission granted. If you want to revoke or grant it again, go to ORGANIZATION, USER MANAGEMENT, Role Definition and select the role you wish to change.